Choose 10 different honey stixs below as they come in packs of 10. You'll get 100 total straws. 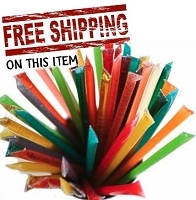 In this pack - get 10 different varieties of honey straws in packs of 10, so 100 straws! (i.e. get 30 clover, 10 orange blossom, 60 raspberry, etc). Simply add the item to your shopping cart. You can let us know by typing in the varieties and quantities in increments of 10, desired in the "comment" box which is located by the credit card info on the checkout page. These were fun for us to order as we order 10 flavors to try. Some we love some we werent too fond of but all in all these are great. We definitely know which flavors we want to buy more of. These are great snacks to carry with you on a day out with the family. I have ordered honey straws from this company for the 3rd time in the past year, and I don't think I've done a review, so it was beyond time. I love their products and the variety of flavors offered. 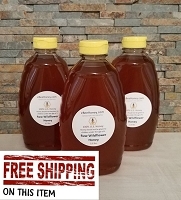 There is also a quick turn around time from ordering to delivery, so if you are a honey fan like me, you don't have to wait long to indulge! We have a jar on our kitchen counter next to our sugar and flour specifically for our honey straws! I would suggest this company to anyone!! my favorite are watermelon, blueberry, and pina colada! Amazing flavors! I am thrilled with my purchase of these honey sticks. They were shipped and arrived quickly and each flavor comes in its own bag, labeled with the flavor. I have also found a perfect use for them. If you pour yourself a cup your favorite hot tea, you can open one end by pinching the tip and put the stick open end down into the tea. I then use the stick to stir my tea and it slowly releases the honey. It is a delicious way to enjoy your tea and honey together. 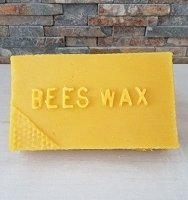 Added benefits include the heath and healing benefits of the honey itself. It is my new favorite thing. I purchased a variety of different flavors and they made a great favor give away for my daughters baby shower. Lots of oohs and ahhs about how yummy they were! After running across this company online and deciding to give them a try I must say I'm extremely happy with my purchase. I will definitely be purchasing more honey in larger watts! The sticks I bought had the most unusual flavors you would ever guess but were absolutely perfect in my morning cup of tea and for a quick little pick me up. 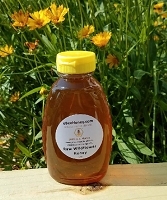 This honey is a MUST TRY!! These are great, kids love them, a big seller in our store. I sent the honey styx to my grandson in Arizona. They are his favorite! He loved them. I'm loving these honey sticks. I keep them at work with me and they provide the occasional pick me up I need. I got my order very quickly. And the honey is delicious. I will definitely offer again! Delicious! My family and friends love these honey sticks! Pep of energy in a straw! Received quickly and cannot believe the Watermelon flavor tastes like a real watermelon! Bought these a few weeks ago and they taste amazing. The caramel and vanilla are definitely my favorite. I will be buying more soon to replenish my stock. Great snack to have while at work. This was my first time trying the honey stixs and I loved the cinnamon and cherry. I will be ordering them again, as they are a healthy alternative to other candy. I shared these with my busy bees at our school's open house. Parents wanted to know where I found them. Shared ebee honey's online address. My son is addicted! Great snack to carry around, love the flavor options. I have been sharing with friends and family and they are hooked too! So much better than candy in your purse. ?? These honey sticks are great! I love every single flavor but my favorites so far are cinnamon and lemon. I can't get enough of them and will order again soon! 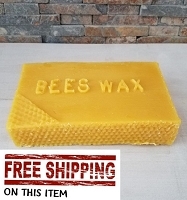 I definitely recommend EBeeHoney to everyone. My sons and myself love these honey sticks they arrived quickly and we love the fact you can pick your own flavors .These are delicious! I was so excited to receive the sticks less than 48 hours after I ordered them. So surprising and extremely quick. They are so very delicious too. Thank you!! I've had honey sticks before. These are fantastic. They really help my throat, and are great for a quick energy pick-up. Ebeehoney is the best!!! Their honey sticks are soooo yummy and I love the variety!! this was a great find for me! the communications and the delivery were excellent. i used these for a favor bag for the holidays. i was very pleased with the products and so were my guests! thank you ebee honey. great job! I ordered these sticks to have during labor and delivery since I would not be able to eat during labor. Unfortunately I went into labor earlier than expected and want able to use them but they've been a life saver at giving me a small energy boost during the many middle of the night feedings! Great way to try several flavors. This is the best way to buy if you want to try several different flavors. All of the ones we tried are great. My daughter and I love honey sticks! We found your site and decided to try yours. We placed an order. They are absolutely amazing! 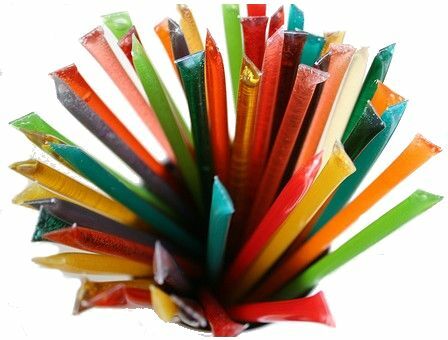 The flavors are the best yet of all the honey sticks we have tried from other companies! And you have such an amazing variety! Very pleasant taste to all the flavors we have ordered. We will definitely be ordering from you again! We love them!! The honey sticks I bought were great. My kids love them as a special treat. All the flavors I picked tasted fresh and delicious. I definately recommend buying these. I am so happy with my order. I ordered a variety pack to hand out on Halloween. The shipping was super fast and my kids and I have tested the stix and they are yummy! Will definitely order again. I ordered the 100 variety pack of honey sticks. They arrived on time and as promised. My kids love them. We were able to try flavors that we had not previously experienced. The quality of the product is outstanding. I love this company. They are the best when it comes to shipping. All I can say is super fast shipping. I wish others would learn from them. And as far as the honey sticks, I have ordered several time and have not been disappointed. They are the always very good. 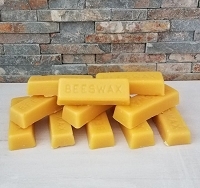 Keep up the fantastic job EBeeHoney. As I am writing this review I think honey sticks would make a great little thinking of you gift. Like a couple of honey sticks and some tea. I will be back to buy more. This was my 1st order but definitely not my last. The flavors are much better and the variety also compared to my last source. I enjoy a stick each morning and I swear it gets me going faster and my energy lasts longer. Can't wait to try them all. Highly recommended. These are perfect with morning tea and just to snack! All of the flavors are delicious, but my favorites have been Chai and Pina Colada! My 3 year old granddaughter loves your honey sticks, I ordered these on a Friday afternoon and had them delivered on Tuesday. My granddaughter had to have her tonsils out and she loved them while she recovered.They are great to soothe your throats. A very happy customer. The honey stix are delicious. And i swear by them qhen i jave a sore throar in the winter. Its very convenient for on the go. Ill definitly order from here again! And it was sent to me with such care, everything was completely bubble wrapped and i got it sent to me very quickly. Im very satisfied! Wow! Received help and advise when I ordered. The sticks I ordered, came promptly in a neat box. Will definitely use again. Thanks for making my purchase pleasant and problem free. These stix taste great and are very easy to just grab for a snack on the go. I usually take one with me to school or work for a quick snack. The flavors I chose all had a strong flavor and you could tell it was real honey. Totally delicious! This is a great way to sample different flavors and save a little money. They were good at honoring special requests and my order arrived quickly. I have been looking for these for so long and these are exactly what I was looking fore, they are all great flavors! Although some flavors weren't all that great, but I loved most of them!!!!!! This was our 4th order. I buy them as treats for my 6 year old grandson, but all the family love them too. I would definitely recommend them. I ordered these honey stix for my daughter as a Mother's Day gift. She was so excited to receive them and says that they are absolutely the best! 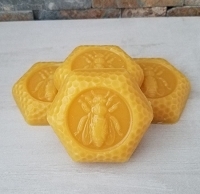 These flavored honey stics are good the honey is fresh, but as far as flavors some are tasty and some taste like only honey.